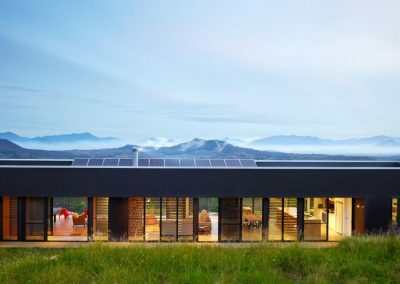 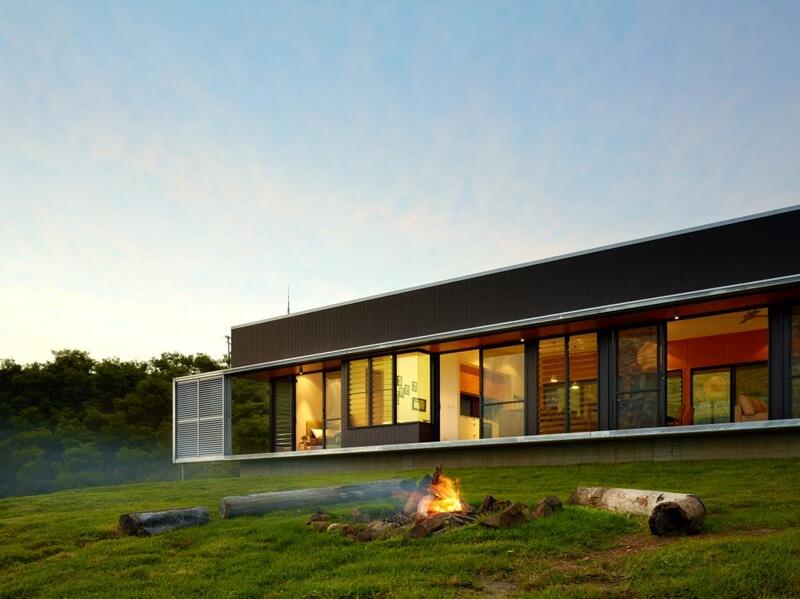 The Boonah House is a simple articulation that presents as a subtle insertion in the steep landscape. 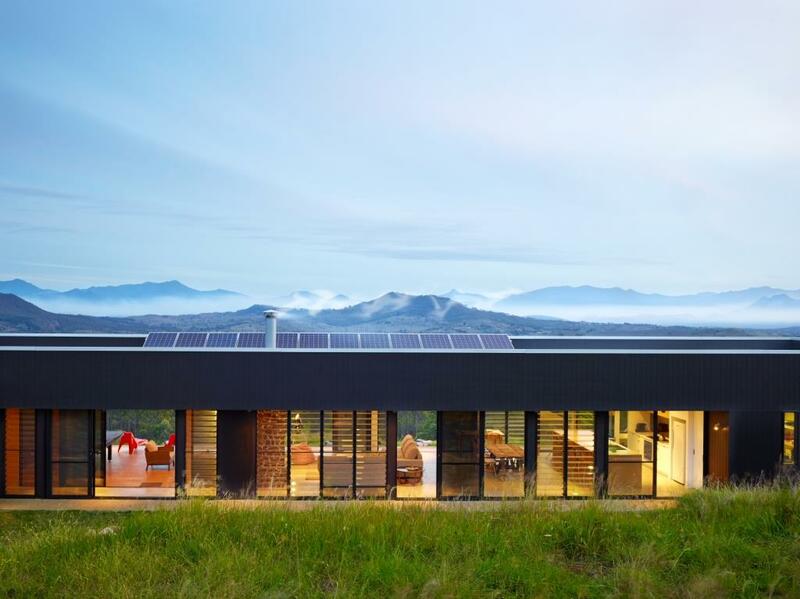 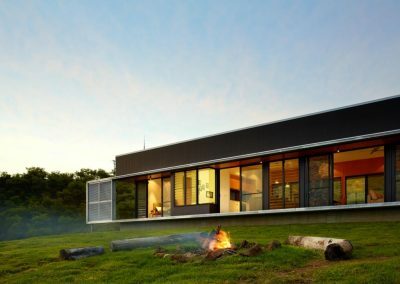 The design was conceived as a long rectangular pavilion of a single depth to optimise the northern sunlight and maximise the expansive views of the Great Dividing Range. 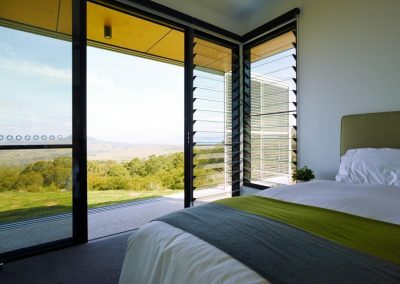 A series of operable screens clad the entire front facade of the house, providing the inhabitant with the ability to control their exposure to the natural elements and manipulate the internal environment. 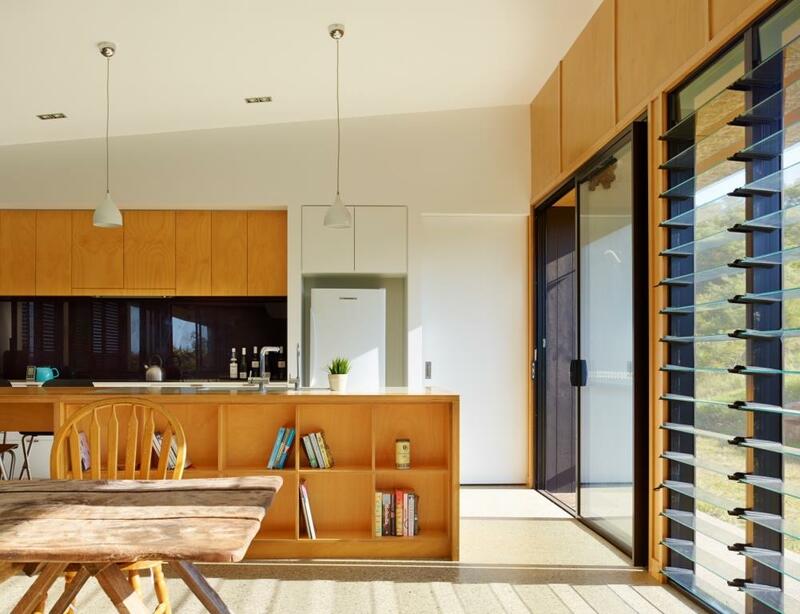 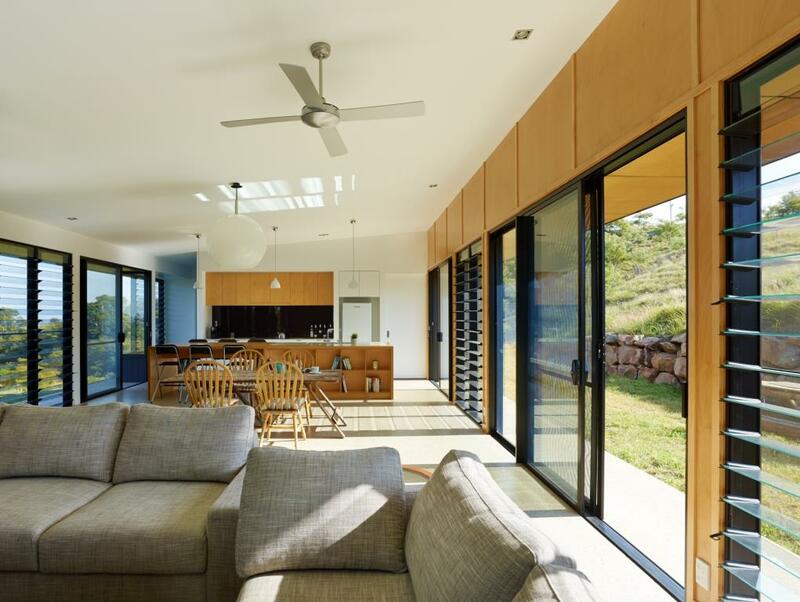 The use of Breezway Louvre Windows provides that sense of spaciousness and allows one to connect with nature. 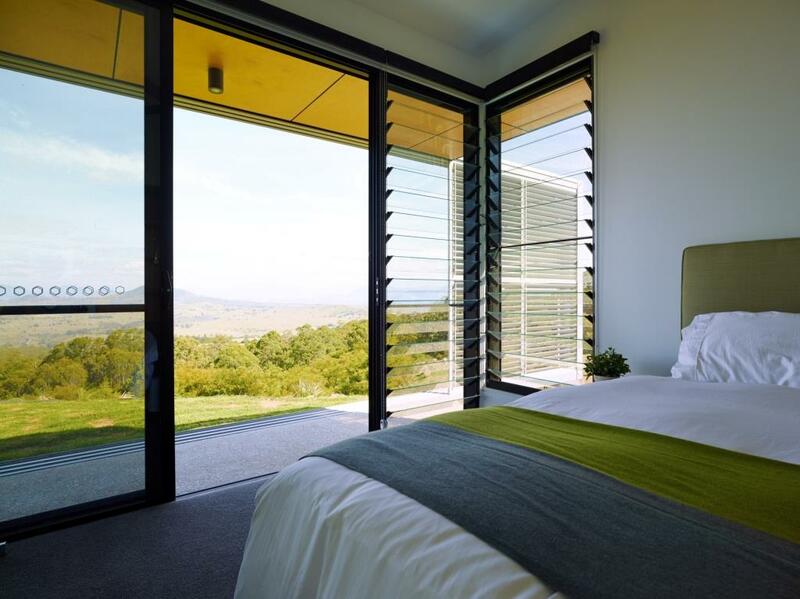 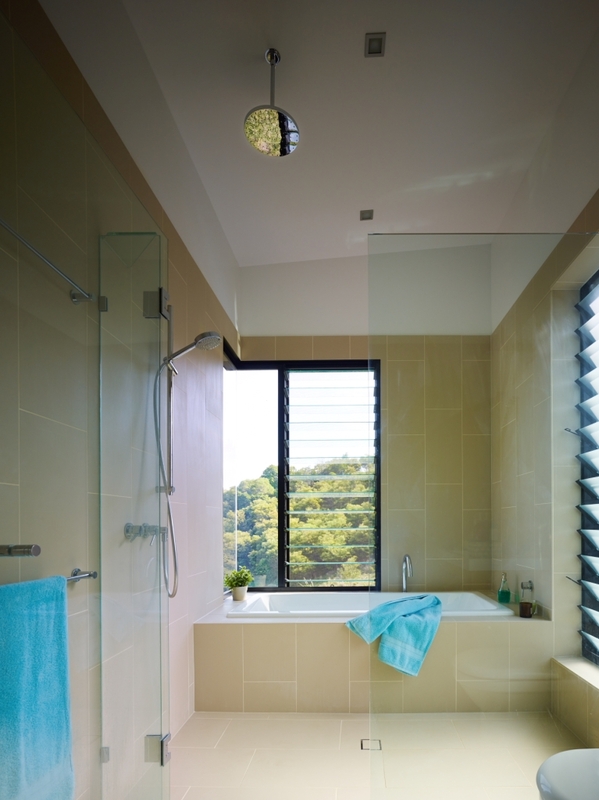 Occupants can also control the amount of air entering the living environment at any given time by angling blades to the desired position while still optimising landscape views.